Oakton CON 150 Meter - Osprey Scientific Inc. 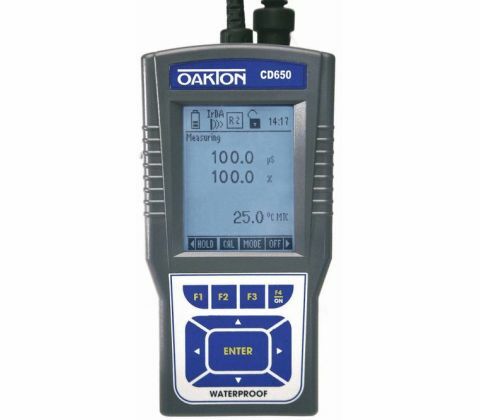 Rugged, accurate, reliable – best value for an IP67-rated waterproof meter! 0 to 200 mS conductivity range. 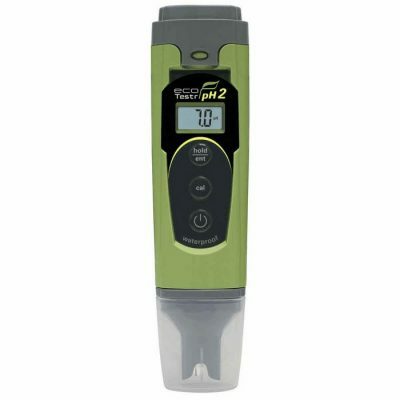 The CON 150 meter offers a rugged, waterproof housing with built-in stand at an economical price. 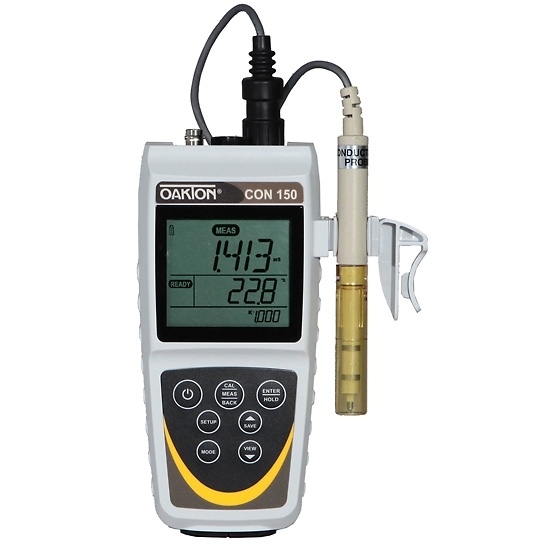 The large, three-line LCD lets you view the conductivity or TDS measurement simultaneously with temperature. 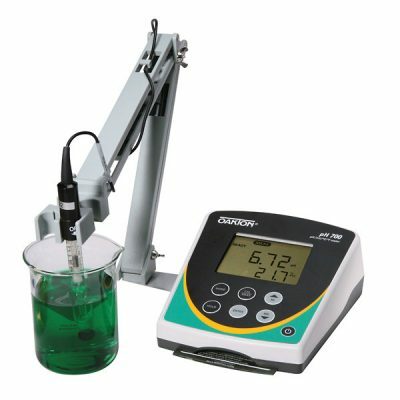 Convenient auto-ranging and auto-calibration functions for one calibration point per measurement range. 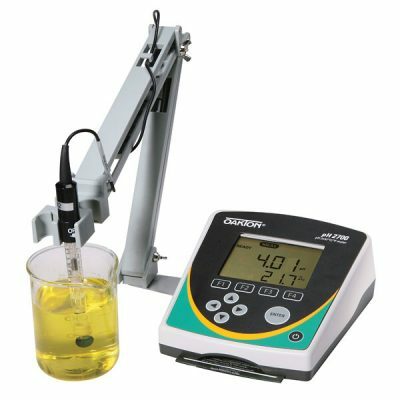 Temperature coefficient adjustment from 0 to 10%/° C; and Conductivity-to-TDS ratio can be adjusted from 0.4 to 1.0 factor.